SpeedPro Imaging is a leading provider of large format printing services. With our specialized skills and expertise, we can make your business in Chicago, IL, stand out among the competition. We have a long-standing reputation for excellent workmanship, and we’re on a mission to set a new standard for the printing industry. From crisp images to larger-than-life visuals, we’ll have what it takes to meet your requirements regardless of your project’s scope. We’ll deliver superb results quickly each and every time because your satisfaction will matter to us. If your company’s slogan lacks appeal, we can help you find the right solution. We’ll work closely with you to meet your high expectations. Our established team has more than 35 years of combined experience in the industry. By hiring our team, your workload will be more manageable because we won’t ask you to lift one finger. We’re beyond capable of laying the groundwork for your project and seeing it through. When you leave your project to us, we’ll make it worth your while. We’ll be courteous to you, responsive to your needs, and highly active while tackling your assignment. Since we’re all about making things easier for our clients, you can rest assured that our streamlined services will simplify the entire process for you. As experts in visual communications, we have the skills to create a wide variety of specialty graphics, including trade show displays, car wraps, and outdoor signs. Providing high-quality graphics is only one of the benefits that SpeedPro has to offer. We make it a point to do flawless installations. When you’re ready, we’ll discuss your requirements so that we can walk you through your options and let you know how we can help. Our high-resolution graphics are bound to work wonders for your business. You can rest assured that your project will be at the top of our agenda. 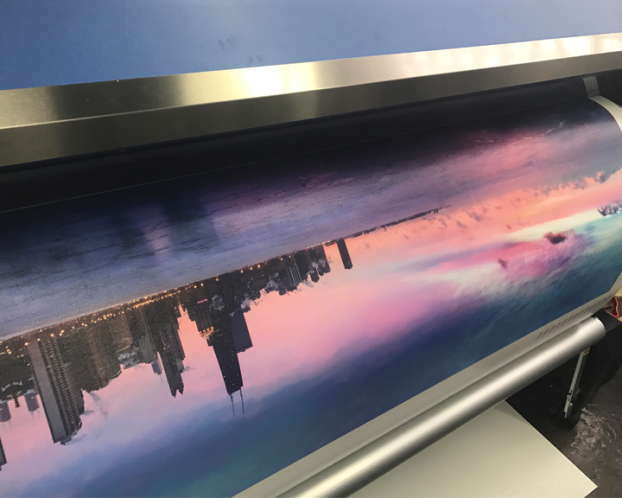 Call us today to schedule an appointment if you need large format printing services for your business. We serve Chicago and the surrounding suburbs.